This year seven graduating seniors in concentrations administered by the Department of Cell and Molecular Biology were inducted to the Harvard chapter of the Phi Beta Kappa (ΦΒΚ) honor society. Candidates are selected based on the strength of their coursework and recommendations from faculty. Founded in 1781 as a social venue for discussion and debate, Phi Beta Kappa is the oldest undergraduate honor society in the United States. Its mission is to promote excellence in liberal arts and sciences. This year’s Phi Beta Kappa ceremony included keynotes by Science and Technology studies scholar Sherry Turkle of MIT and by distinguished poet Mark Doty. 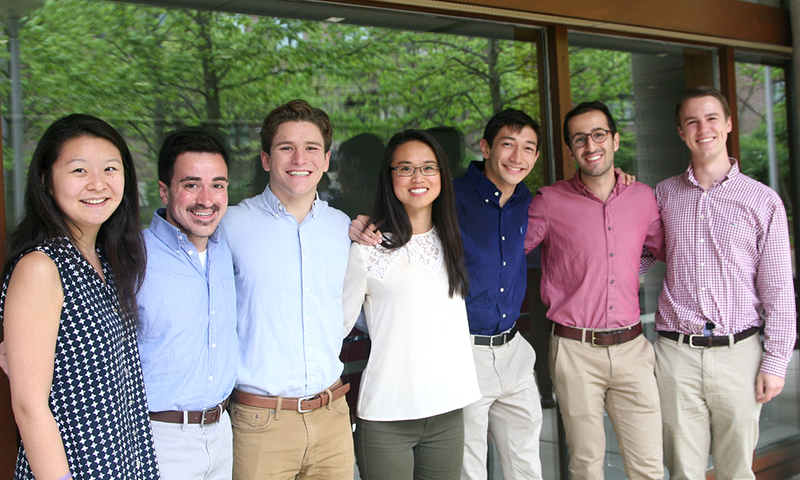 The graduating honorees are Henry Cousins, Jennifer Hao, Geoffrey Martello, and Jenna Zhang from the Molecular and Cell Biology (MCB) concentration and O’Neill Danis, Mahan Nekoui, and Daniel Rubin from the Chemical and Physical Biology (CPB) concentration.